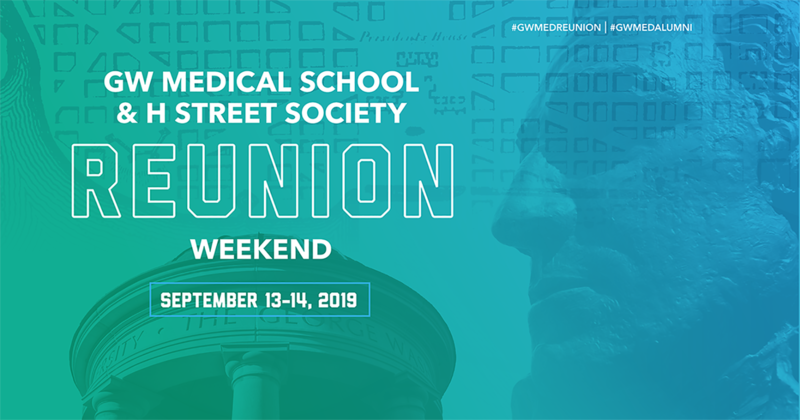 Please fill out the short survey below based on your class year to let us know if you will attend Reunion Weekend 2019. Please contact the SMHS Office of Alumni Relations if you have any questions at 202-994-7511 or smhsalumni@gwu.edu. MD classes 1959, 1974, 1979, 1984, 1989, 1994, 1999, and 2009. Thank you for helping us plan your Reunion Weekend!